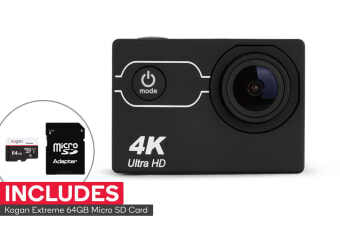 Capturing priceless memories in 4K doesn’t have to cost a fortune; capture stunning Ultra HD footage all day with the Kogan 4K Action Camera and 64GB Micro SD Card Combo, including a Kogan Extreme 64GB Micro SD Card. Seize the moment with incredible high-resolution 30FPS recording, compact design and multiple shooting modes all at your fingertips. Whatever the adventure – underwater, hiking, riding or taking everyday snaps, the Kogan 4K Action Camera and 64GB Micro SD Card Combo gives you amazing quality footage and a powerful 64GB Micro SD Card for a fraction of the price. Snap brilliant shots in sharp 4K Ultra HD, helping you seize the moment with the superior quality footage. Don’t let unmissable family pool-time memories and beautiful snorkeling sights slip by. Record all the action up to 30m underwater with the included waterproof case. 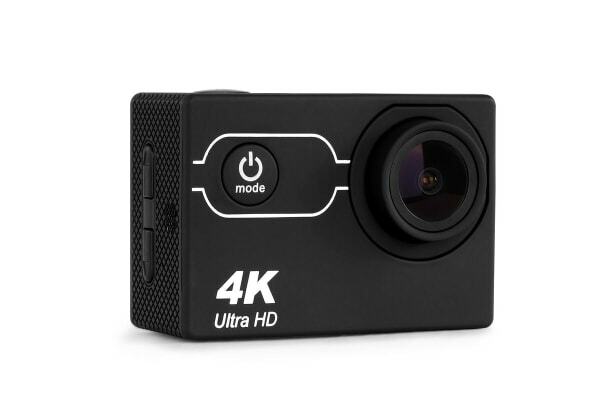 Capture all-encompassing scenery and sights with the 140° wide lens. You can even give your memories unbelievable new perspectives with built-in features such as slow motion, video looping and photo burst. 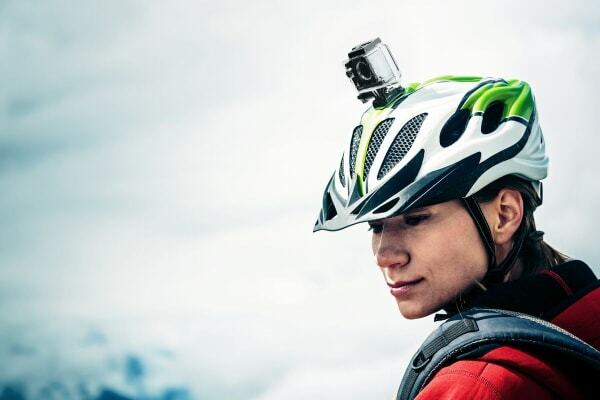 Relive your memories in true-to-life clarity thanks to easy-to-use mounting brackets for bikes, helmets and clothing, including fixed bases perfect for filming from any flat surface.